Salut! 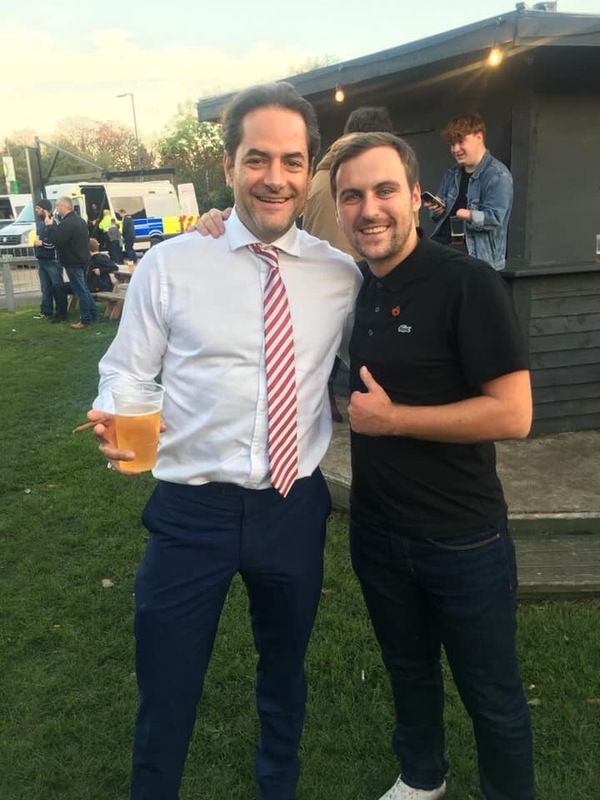 Sunderland wrote at length about SAFC’s executive director Charlie Methven* after he became part of his friend and fellow Oxford United supporter Stewart Donald’s takeover of our club. The vast majority of supporters are probably content with what has happened since. But both have inevitably and understandably divided loyalties as Oxford, having given us a fright at the SoL (it ended 1-1 with Charlie Wyke grabbing the equaliser), welcome SAFC for the return. Charlie, who also gave a long interview to this site (links in the footnote*), has offered some further thoughts ahead of Saturday’s match, important to both sides for different reasons, important to him (and Donald) for irreconcilably emotional reasons. We shall divide the interview into two parts, the second to appear tomorrow (Thursday). Salut! Sunderland: a great home win against Pompey (helping us, too), then a heavy defeat to Bury in the Checkatrade that had the boss Karl Robinson fuming. And still close to the bottom. What do you make of Oxford’s season so far? Charlie Methven: Oxford are a strange side to assess right now. On their day – such as the game at the Stadium of Light in September and Portsmouth at home recently – they can look like world-beaters, in League 1 terms anyway. But then there have been loads of performances and results which have really plumbed the depths, especially against fellow strugglers. So it’s been a poor season thus far, but – unlike other teams in the relegation dogfight – Oxford have enough quality and pace to beat anyone in the league. Is Robinson a decent manager at this level and do you expect to see the Thai owner Sumrith ‘Tiger’ Thanakarnjanasuth use his financial clout to propel the club the higher things? Robinson did a good job to come in and steady a ship that was starting to keel over last season, and he dragged the team up to a lower mid-table finish that looked unlikely for a long while under his hapless predecessor Pep Clotet. However, fans seem to have turned against him this season, despite not having great resources behind him – knowing the fanbase as I do, I suspect that this is as much to do with his mouthy Scouser style as anything else. Oxfordshire folk like a bit of dignity in their gaffer, so there is a gap in culture, as there was with Chris Wilder a few years back, whom they also disliked. OUFC fans would rather someone like the great Maurice Evans or, more recently, Michael Appleton, who was a quiet type who didn’t blow his own trumpet. On Tiger, “no comment” given that I might meet him the boardroom for the first time on Saturday! Higher things, if attainable, would presumably revive thoughts of a fourth stand for the Kassam stadium. Do you see it being built/needed any time soon? The stadium situation is endlessly complex – it probably would require a substantial book to cover it rather than a glib paragraph. Suffice it to say building a fourth stand isn’t going to happen any time soon. Not because it’s not needed, but because there is no financial reason for the stadium’s owner, Mr Firoz Kassam, to build a fourth stand. Question is: why are there only three stands? Answer: Oxford City Council did a terrible deal with Kassam when they held all the bargaining chips 20 years ago. The million odd quid a year that OUFC pay Kassam is horrendous for a club with revenues of about seven million. This fixture must be a tough one for you psychologically. Heart vs head or is the heart also sufficiently Sunderland by now to make an away win your obvious wish? Of course, yes. It’s heart versus heart, actually. The club that I have thrown myself passionately into versus the club I grew up with and have watched probably close to a thousand games at. But when you take on one of these enterprises (like Sunderland) you have to go full throttle. Everyone has to pull together and fight for each other. Players, coaching and staff and directors will mostly have other “home town” teams, but our current loyalty is to Sunderland, and loyalty cannot be done in half measures. That said, if I had a choice between dropping points against Blackpool next week or Oxford this weekend, I would rather it be the latter… whilst hoping, of course, that SAFC wins both games. It’d be naïve to think that I will be involved with Sunderland for ever and once my time there is over – whether that be in one year, 10 years or 30 years, I will return to being an Oxford fan. My uncles, cousins, boyhood mates and my kids are all yellow and blue, and that’s not something you can ever wipe away. Oxford’s previous owner was a passionate Birmingham City fan. For three years he was all about Oxford, and now he’s back to being a Brum fan again and is involved at Solihull. But all this is special pleading to an extent, because it will certainly be a very strange feeling for Stewart and I to watch the two teams running out of the tunnel on Saturday from the away side of the directors box. And just to pursue that point, another tough call: is it more important to you for Sunderland to gain promotion this season than for Oxford to get out of trouble? It’s a false choice! Stewart and I have dragged people into Sunderland from all over the UK. We have pleaded with long-lost fans to come back to their club. We have been separated from our families for long stretches of time. We have invested our time and money in success, so achieving promotion would be a wonderful moment because of the joy it would bring to so many people who have, in football terms, suffered so much recently. 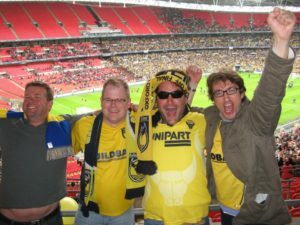 But every time OUFC gets relegated it feels like a hard punch to the solar plexus – really painful – and having not been through that for 12 or 13 years I have no desire to see it happen again. Even the thought of my Grandpa rolling in his grave is enough to make me hope desperately that they pull it round. Which Oxford players, from what you’ve been able to see, have impressed in a difficult season and should we therefore be worried about? Shandon Baptiste is a star of the future but got a bad injury recently. Gavin Whyte has impressed in his first season in English football, Marcus Browne – as people will have seen in the SoL fixture – is lightning quick…and Oxford have the only ‘keeper in the division who can give Jon Mac a run for his money in big Easty, Simon Eastwood. Probably Oxford’s best outfield player is Curtis Nelson – quick, strong and decent on the ball for a centre half. I imagine you’re not old enough to have seen Ron Atkinson play for Oxford. Of those you have see, who gave you greatest pleasure? Grew up on stories of Big Ron, but he retired shortly before I was born. He played near 600 games for OUFC in all, which is a heck of a record for an outfield player. When I was a kid, the team was full of big stars, or those who would go on to become big stars: Mark Wright, Ray Houghton, Dean Saunders, Billy Hamilton, John Aldridge. I was probably too young fully to appreciate them. Subsequent to that team, Jimmy Magilton, Paul Simpson, and Andy Melville was a big favourite of mine as a young, aspiring centre back. But as for a lot of local boys, my real hero was flying winger Joey Beauchamp – the England left wing that never was because he got homesick after his big move to West Ham. Very local yokel, Ooo Aaaar, but a football genius: left and right footed, brilliant dead ball, great finisher, lightning pace. One season in the Championship, he scored 22 goals from the wing, and got 18 assists. Every big club wanted him, but he just never wanted to leave again and stayed on, humiliating full-backs into his 30s. I remember one game at Upton Park when he was up against Julian Dicks and Dicks got so frustrated by being skinned yet again that he went over and gave the advertising hoardings a shooing. For SAFC fans, YouTube Oxford United vs Newcastle United 1992 and watch Joey skin the black and whites to stick one over Keegan’s team – we beat them 4-2 that day, he was man of the match and I was very drunk. Who should have been allowed nowhere near the Kassam or Manor Ground before that? Too many to mention at the Kassam, as shortly after moving there, the club went through the worst era in its history since turning professional after the war. The years in the Conference were horrendous. But back in the glory days Billy Whitehurst was a disastrous replacement for the great Billy Hamilton. We went from, in Hamilton, this sublimely talented target man who not long before had supplied the cross for Gerry Armstrong to beat Spain in the World Cup to, in Whitehurst, something a great deal more agricultural – and that’s putting it politely. Dean Saunders was an appropriate replacement for Aldridge, but Whitehurst for Hamilton? Nah. Highs and lows of supporting Oxford? Were you at the SoL 20 years ago when we won 7-0 (I recall you having endless corners in the first half but still being three down)? Yup – I was there, but I’ve blocked it out! 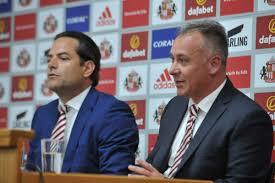 We were just starting our descent into Hades then, and SAFC was on its way up – the imperfect storm!! I was at the League Cup Final win in ’86, but was only 10 so didn’t fully get the significance. Oddly, given Oxford has achieved greater things, my favourite memory is our promotion from what is now League 1 to the Championship in 1996. 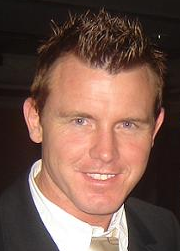 It came at the perfect time: I was 20, at Uni in the City, playing football myself and got to know a lot of the players, including David Rush, who was – and is – always good for a laugh, Paul Moody, Anton Rogan, Martin Gray. Denis Smith was the manager, Malcolm Crosby his assistant and Matty Elliott the skipper and towering, goal-scoring centre half. I worked part-time at a pub the players drank in after training, and once served our ‘keeper about 15 pints in a sitting two nights before a game! Those were the days. I know that modern fitness levels are better, but I suspect that it is very hard now to mould the kind of team spirit that some teams had in those days. Name that keeper, Charlie. And to describe Billy Whitehurst as agricultural; psychopathic is closer to the truth..
Is the ale quite strong in your part of Oxfordshire? Not sure about the ale, though I like a pint of Hook Norton, but there’s definitely something in the water in that neck of the woods judging by the number of times Oxford and Wycombe players fell over at our place. Truth is, I never was much of a footballer, ever mind a keeper, though Monty was one of my favourites.